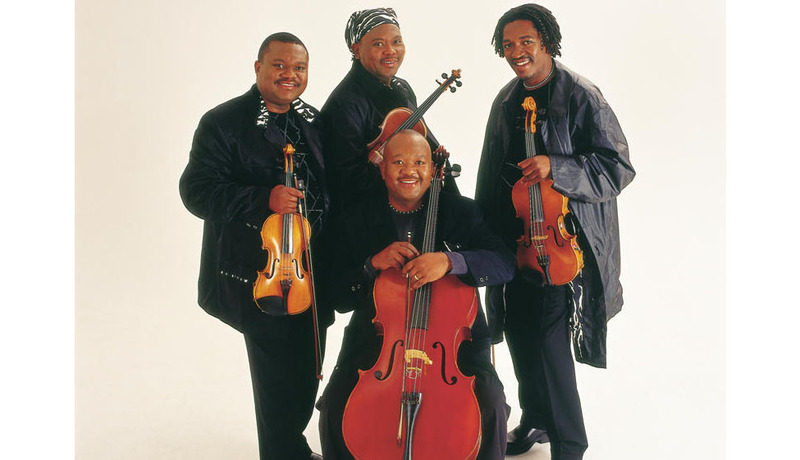 The Soweto String Quartet initially faced criticism from peers for their use and study of traditional European instruments, but the four-piece shrugged off criticism and continued to develop a new "African" string quartet sound which incorporated Kwela and other native dance rhythms, as well as inspiration from the syncopated guitars of Mbaqanga, the saxophones and trumpets of swaying African jazz and the joyous harmony of Isicathamiya. The phenomenon of four black Classical musicians from a South African Township is a political statement in itself. 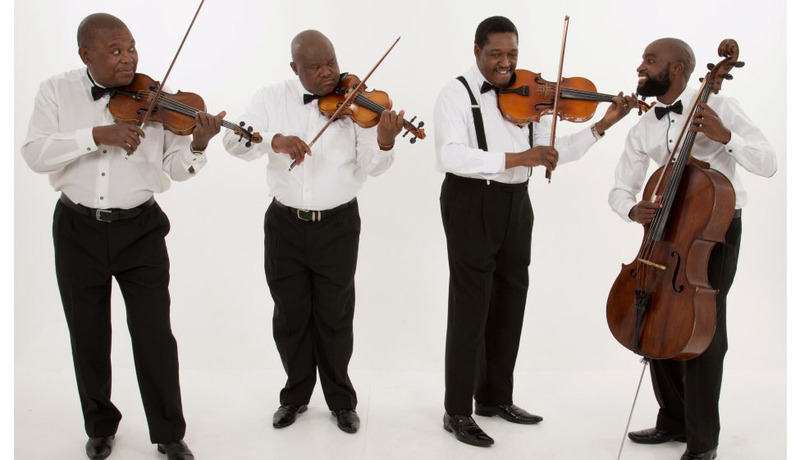 Sandile Khemese, first violinist and musical director of the Soweto String Quartet remembers the reactions of friends in the early days: "All our friends thought we were very strange. They would laugh at us and tell us we were crazy playing these instruments. But it was all very natural to us. As young boys we would sit up all night listening to Haydn and Mozart. It all just seemed very natural to us". For over 30 years a Youth Orchestra and a Symphony Orchestra thrived in the Township - fusing the Classics with African traditions. Sandile graduated through both and shares some of his memories: "I was aware of our traditional music, but I didn't realise that I could express it through the violin. I thought it was an exclusively European instrument. When I was in the Soweto Youth Orchestra I realised that we could arrange African music for strings - it was a revelation". An exciting fusion of classical instrument and hot african Jazz. One of my favorite ensembles" Quincy Jones. In 1978, Sandile and his older brother Reuben decided it was time to form their own string quartet. They rehearsed in their spare time and would perform whenever and wherever they could. Sandile was offered a scholarship at Manchester's Royal Northern College of Music in Britain. This put the quartet on hold for 6 years until Sandile returned to Soweto in 1986. And thanks to apartheid, Sandile couldn't get a job with the "Whites Only" National Symphony Orchestra. This turned out to be just the thing to get the string quartet up and running. The quartet was back. Reuben on Cello, younger brother Thami on Second Violin and a close childhood friend Makhosini Mnguni on Viola. The quartet had to keep their day jobs to survive at first, but their invigorating live shows grew increasingly more popular across the townships. Sandile remembers what it was like: "The first half of our concerts consisted of Classical repertoire, with the second half exploding into our string arrangements of African music. We wanted to teach kids in Soweto about different kinds of music and to appreciate Classical music - it was very hard to make a living". "Nobody could overlook the vitality of the ... rhythms which formed the basis of the program. The harmonies evoke South Africa's rich tradition of vocal ensembles" Clive Davis, The Times, London. The Soweto String Quartet became a full-time professional outfit in 1992, the time when South Africa was in the throes of dramatic change. Sandile on how the changes affected the band: "The elections in 1994 turned everything around for us. Our first really important gig was actually at President Mandela's inauguration. That was very emotional, but it was also the turning point for our career. The President even started recommending us for all sorts of other jobs".